The Doctrine of Predestination is one of the most controversial doctrines in the contemporary church. 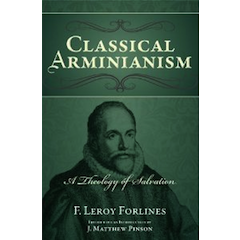 But in the Calvinism/Arminianism debate, the term itself (Grk. proorizo) is often tossed two and fro between the two camps, Calvinists using it to affirm unconditional predestination, Arminians using it to confirm conditional predestination. In this post, however, I desire to temporarily silence both camps; a good word study on proorizo will clear the air and help both camps come to see that, stripped of all presuppositions, proorizo is a neutral term used in the Scriptures. Those of both the Calvinist and Arminian persuasion must admit that they make theological and philosophical inferences regarding the nature of predestination when coming to their convictions about unconditional/conditional predestination. “For whom He foreknew, He also predestined to be conformed to the image of His Son, that He might be the firstborn among many brethren” (Rom. 8:29, NKJV). Notice that the goal of predestination is sanctification (“to be conformed to the image of His Son”). The believers, those God foreknew from eternity, He predestined (predetermined) that these would grow in sanctification. And verse 30 tells us that the end of the road is glorification. This passage states that the path of the believer is predestined. But where does it ever tell us that He predestined some individuals to believe? Rather, context states that those He foreknew (who would love God, Rom. 8:28) are predestined to sanctification (and glorification). This verse says nothing about God predestining certain ones to believe. God makes the initiative in salvation, and the Spirit draws individuals to Himself (John 6:44)...but individuals must respond in faith to the call of God (Rom. 10:9; John 3:16). God is not going to “force” anyone to believe. From this verse at least, it seems as if sanctification and glorification are predestined, not the faith of the individual. Who is the “us” of Ephesians 1:5? The answer? “The saints who are in Ephesus” (Eph. 1:1). The “us” of Ephesians 1:5 refers to the saints, the believers, the church. Next, what are believers predestined “to”? What is the goal of predestination for the believer? “adoption as sons by Jesus Christ.” Adoption only comes “by, in, through” (Greek preposition en) Christ. Christ, then, is what makes adoption possible. The logical inference from this, then, is that, if Christ makes adoption possible, then, without Christ, adoption to sonship would not be possible. How have believers obtained an inheritance? “In Him.” How does one join himself or herself to Christ? By faith (Romans 5:18; 10:9). The passage of Ephesians 1 is Christocentric: Paul describes the saints as faithful “in Christ Jesus” (v.1); believers have been given every spiritual blessing “in Christ” (v.3); believers were made elect “in Christ” from eternity past (v.4); believes were predestined to sonship “by Jesus Christ”(v.5); God made us accepted “in the Beloved,” referring to Christ (v.6); we have redemption and forgiveness of sins “in Him” (v.7); and “in Him” we have inherited eternal life (v.11). The emphasis of this passage has been thrown on the words “chosen...before the foundation of the world”; but the real emphasis should be placed on the words “in Him,” “in Christ Jesus,” “by Jesus Christ,” “in the Beloved,” etc. Christ is the center and focus of Ephesians 1, not certain individuals selected (as sinners) before time on the basis of unconditional election. From the three texts we have seen, the Doctrine of Predestination is biblical indeed; but the term itself is directly neutral when used in the Scriptures. From the few texts above, however, particularly in Ephesians, one can note that predestination is tied to believers instead of unbelievers selected in eternity. While the Scriptures do not directly define the nature of predestination, there is good scriptural evidence to confirm that predestination is conditioned upon 1) The Lord’s foreknowledge of man’s sin, 2) the decree to bestow faith and salvation upon those who would believe (John 3:16-18; Eph. 2:8-9), 3) and divine foreknowledge of which specific individuals would believe and which would not. “We circumscribe the Persons within the limits of the word ‘believers,’ which presupposes sin: for no one believes on Christ except a sinner, and the man who acknowledges himself to be that sinner. (Matt. 9:13; 11:28)...But we give the name of ‘believers,’ not to those who would be such by their own merits or strength, but to those who by the gratuitous and peculiar kindness of God would believe in Christ (Rom. 9:32; Gal 2:20; Matt. 11:25; 13:11; John 6:44; Phil. 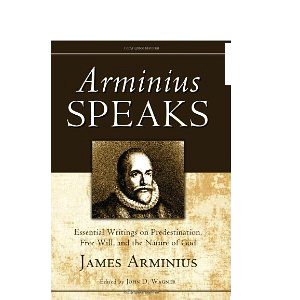 1:29)” (James Arminius, quoted by John Wagner, Arminius Speaks: Essential Writings on Predestination, Free Will, and the Nature of God. Eugene: Wipf and Stock, 2011, pages 9-10). Premise #1: Those who are saved are predestined. Premise #2: Salvation is conditioned upon faith in Jesus (John 3:16). Premise #3: If predestination is tied to salvation, and salvation comes by grace through faith in Jesus (Eph. 2:8-9), then predestination is tied to believers (that is, those who believe). Now, this is making an indirect logical inference about the Scriptures. But it is not unfounded. The term is directly neutral in Scripture. One will never find “conditional predestination” or “unconditional predestination” in the New Testament; nevertheless, one can make an inference based on what Scripture provides. Inferences in general are not bad; rather, it is how inferences are formed that determines whether or not they are bad. God bless.